contact team leaders for more info! Rome, Italy is at the center of international efforts to promote sustainable development and combat world hunger. It is also at the center of a food-security related cross-border migration crisis. The juxtaposition of solution and need makes this city an ideal experiential service learning lab for Baylor students to deepen their understanding of global issues and the collaborative systems that address them, as well as consider how their vocation and avocation can contribute to those efforts. With a side-trip to meet a tireless advocate for Roma migrants in Florence and an Epiphany service led by the Pope at the Vatican, this trip will be an exciting and educational way to understand these global issues. Students will meet with leaders at the THREE United Nations organizations addressing global hunger as well as individuals and organizations working with migrants and refugees in both Rome & Florence. 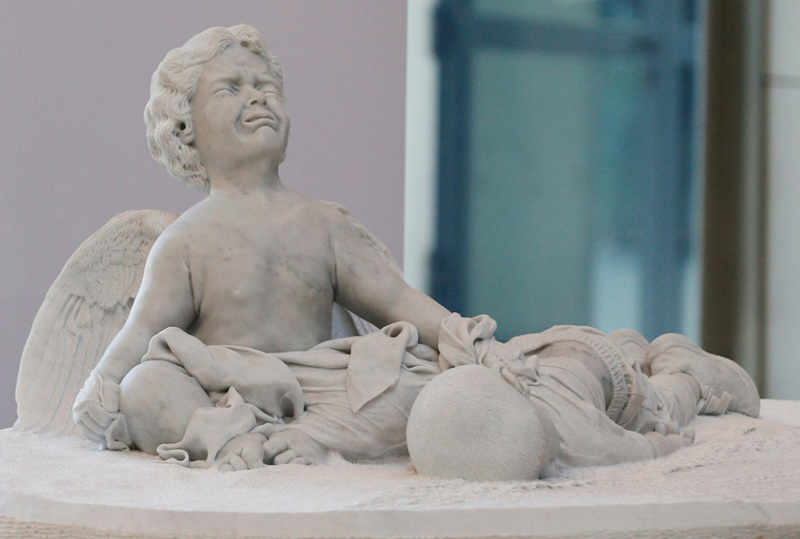 A statue of the 3-year-old Syrian boy who drowned while crossing the Mediterranean Sea, at the U.N. Food and Agricultural Organization in Rome. Pope Francis visited the headquarters & presented the statue as a gift to the organization. Great for students interested in hunger relief, interfaith issues, migration and international issues. Especially interesting for students in BIC, Honors College, International Studies, Social Work, Public Health, and Business majors. This experience inspires innovative thinking and global service by introducing students to the philosophy, structure, and accomplishments of international, collaborative anti-hunger efforts. We want to help the students understand how the UN agencies operate, as well as what opportunities for jobs or internships may await them. We also want to provide hands-on opportunities to interact with, learn from, and serve refugees and migrants; Witness first-hand how faith-based organizations build community through addressing the spiritual and physical needs in an international context. We take seriously our faith-calling to care for all people and we want to expose our students to the breadth and depth of need as well as solutions. *note costs do not include air travel! Students will arrange their own air travel to/from Rome!